Mob life is dangerous. So, apparently, is Ping-Pong for Thomas 'Tommy Shots' Gioeli. 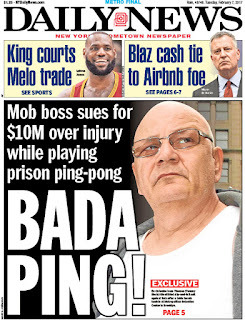 The mobbed up wiseguy launched a lawsuit saying table tennis is a risky endeavor and he deserves compensation for a fall. 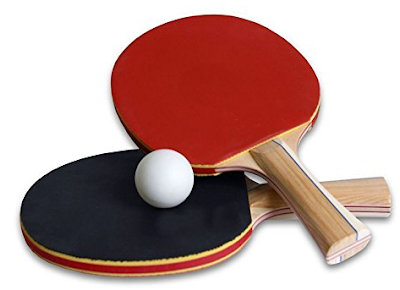 Court papers argue that Gioeli knew about Ping-Pong's perils — including walking on water to track down errant balls. 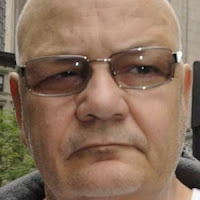 Thomas Salvatore Gioeli, 'Tommy Shots' (born 1952), is a high-ranking member of the Colombo crime family. 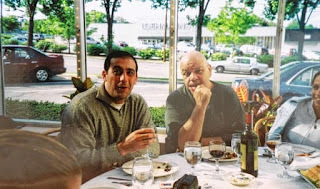 Gioeli is incarcerated in North Carolina on racketeering and murder charges. His projected release date is September 9, 2024.